The Central Walk has been announced by the NSW Government in an attempt to ease foot traffic in Australia’s busiest station, Central Station. This will make transferring between platforms a lot easier especially with the new Sydney Metro stage 2 trains coming into Central Station. A 19-metre wide tunnel from Chalmers Street which links to the new metro platforms under Central. New & easy access points to Sydney Trains platforms 16 to 23. Boosting capacity at Central to cater for the expected 66% increase in daily customer demand. It is estimated that as Australia’s busiest station, Central Station currently handles 250,000 passengers per day. This is estimated to increase to 450,000 over the next 20 years indicating a near doubling of demand for passenger rail services in Sydney. If you have been to the current station you will realize this project is sorely needed as there are steep stairs & corridors which makes it very easy to get lost. 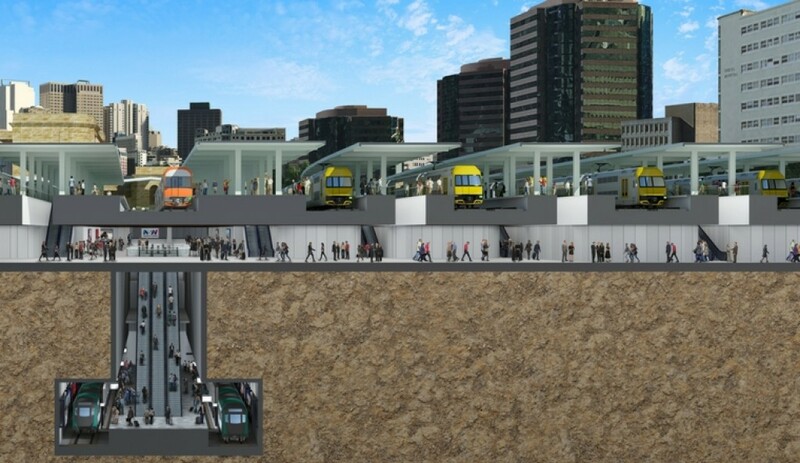 Now it will make navigating Australia’s largest train station a lot easier as well as link up with both the new Sydney Metro & Sydney CBD Light Rail as simple as possible. It is expected that construction will begin in 2018. You can read more about it on Build Sydney’s Central Walk forum.